Alright, that may be a bit of an exaggeration. How could a man who suffered a severe neck injury before the season began and hasn’t played a game so far this year possibly be a candidate for the MVP award? Well, if you have seen the Colts play without him, you might think otherwise. The Indianapolis Colts are now 0-7 on the year after suffering one of the worst losses in league history last night against the New Orleans Saints. A 62-7 loss is just sad no matter how you look at it. A score like that is just inexcusable in this day and age. I know Manning didn’t play. I know he is the cornerstone of the franchise and the most important player in team history. I know he is the glue that holds that team together and makes that team function properly. But 62-7? So much more has to go wrong for a team to lose like that besides just missing your starting QB. What I saw last night was a team that gave up and a team that lost its passion to fight back. Curtis Painter isn’t the future for this team. 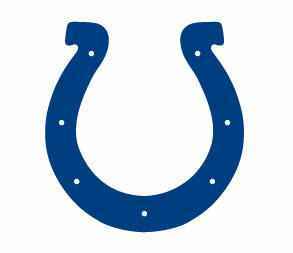 He is just merely trying to hold down the fort until the Colts Icon returns to glory. When you have Painter go 9-17 for 67 yards and an INT, and then see him pulled for Dan Orlovsky…..yes, that Dan Orlovsky…..then heck, maybe I would want to throw in the towel as well. But the Colts are a group of professional athletes who get paid millions of dollars to perform at their best on a consistent basis. I didn’t see anything close to that last night. The Saints are an amazing offense team. Drew Brees is a top-5 Quarterback in the NFL and can score with the best of them. The Colts didn’t even attempt to stop him last night. It was very, very sad to watch. It is hard to say whether or not the ship will be righted after Manning returns to the field. Maybe the players will be reinvigorated once they see their great and glorious leader back on the turf. Until that time, it will be very hard to watch the Colts play the game of Football. Peyton Manning may be the most important player in the NFL. With him, the Colts are dominant, poised and perennial Super Bowl contenders. Without him, they are an uninspired, lack-luster, win-less football team. Maybe that all warrants at least 1 MVP vote, just for kicks. If there is one thing NFL fans of the worst teams in the league can take away from this year, it’s that losing and continuing to lose this season may pay dividends over the next 8-10 years. 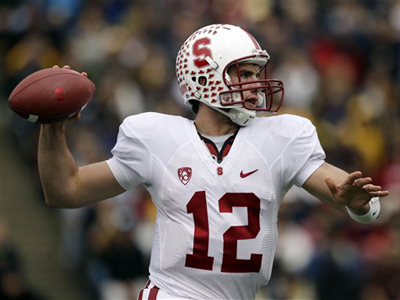 Andrew Luck, a Quarterback out of the University of Stanford, is the consensus number 1 pick for this up-coming NFL draft. In a now Quarterback driven NFL, having a steady hand and leader at the position is more important than ever. Luck is the saving grace for so many teams, that bombing the rest of the season in order to get Luck may seem worth it. Andrew is putting up impressive numbers at Stanford this year, completing 70% of his passes, throwing for 20 touchdowns and only 3 interceptions. There hasn’t been this much hype behind a Quarterback coming out of college since Peyton Manning. Let’s look at the worst teams in the NFL and check out their current QB situations. These are the 3 teams at the “top” of the pecking order for Luck as of right now. It is still up in the air whether or not the Colts would actually take Luck with Manning on the roster. They could pick the Stanford QB and let him be mentored by Manning until he is ready to step down. It happened with Aaron Rodgers, and look how amazing he turned out to be. Teams like the Carolina Panthers, Jacksonville Jaguars and Minnesota Vikings may or may not take Luck, depending on how confident they are with there current rookie QB’s. Cam Newton looks like a superstar in the making, so I would rule them out. We will have to wait until the end of the year to see what kind of progress Christian Ponder and Blaine Gabbert make to see what direction those franchises choose to go. The Rams could also take Luck, but the Rams already used a #1 pick on Sam Bradford, and even though they might be smitten with Luck, it would smell of desperation. If there is any one team that needs Andrew Luck to save there franchise and there fan-base more than anyone else in the NFL, it is the Miami Dolphins. Chad Henne and Matt Moore do not equal success. Luck would be the best QB the franchise has had since the Marino days, with all due respect to the consistent Chad Pennington. Miami would be the ultimate situation for the young Luck, as it would make him the face of the franchise and perhaps the consistent presence at QB that could make this team a threat in the AFC once again. The Chargers are like an enigma wrapped in a puzzle, wrapped in a larger enigma. I can’t figure this team out to save my life. Currently, The Chargers sit at 4-2, which in itself is not a bad record to have. Yesterday, San Diego fell to the New York Jets 27-21 after blowing a 17 point lead. QB Philip Rivers had an off game, completing 50% of his passes and throwing 2 picks to a very good Jets secondary. The thing that bothers me is that the Chargers had this game in the bag. A 17 point lead against the struggling Jets should be secure, especially since Jets QB Mark Sanchez doesn’t strike fear in the hearts of opposing teams with his comeback abilities. But yet, the Chargers lose the game. It doesn’t kill the Chargers too much, as they are still at the top of the AFC West. The problem is that the Chargers have yet to really leave their mark on the league this year. They haven’t done anything as of yet to get people talking. A team full of talent with Rivers, RB’s Tolbert and Mathews, and a solid, yet not overly intimidating defense should at least be in the post-season discussion. Every year, many writers pick the Chargers to finally be the team to represent the AFC in the Super Bowl, and it is hard to argue with them. But if you look closely over the last few years, this is a team that looks great in the regular season, warping your mind into believing big things for the squad, but when the playoffs come around, it is all for nothing. This is exactly why I find it so difficult to root for or believe in these Chargers. They always do this. The season looks great and they make you believe that this is the year for them to pull it together and make a huge post-season run. San Diego has Super Bowl talent, but yet they never get close to the big dance. In a year where the Colts will be out of the Playoffs, I thought this would be the time for San Diego to move on up with the Patriots and Steelers as AFC title contenders. If they keep putting up stinkers like they did against the Jets, then how can you fully trust them? Sure, they may finish the season with 9-12 wins or so, but do you believe they will make any noise come December? I don’t think so. Fool me once, shame on you. Fool me twice…. I love how when the Colts fail Manning is suddenly god, yet when the Cavs fail LeBron’s talents are just ignored. Even though one player in basketball affects the game far more than any player in football (even the QB — he doesn’t play defense). We should retroactively give LeBron every MVP from 2005 onwards. It’s the only reasonable thing to do. I disagree with the statement that one player in basketball affects the game more than a Quarterback. The QB is probably the most important position in all of professional sports. That position is the engine of any successful football team. Would the Packers be nearly as successful without Aaron Rodgers? Just imagine the Patriots now without Tom Brady. Defense or no Defense, the team goes where the QB goes. Great QB’s keep their defenses off of the field. Last night, the Colts defense was on the field far to long to have any order of success. No one ever ignored the talents of Lebron James. How can you? He is the best player in the NBA today. When he left the Cavs, fans knew that their wins left with him. That is a special case since Lebron is the greatest player in the sport. Losing a QB with the effectiveness of a Manning, or Brady or Rodgers does far more damage. The QB is the one scoring the points and leading the team down the field. The QB is the player that keeps your defense off of the field. That is why teams like the Packers, Patriots, Steelers and Saints are at the top of the league, because they have stellar QB play. Teams like the Colts, Rams and Dolphins are at the bottom of the barrel because they don’t have that leader or elite player at the position. As it goes with the Colts, I think a lot of the blame should go on the coaching staff. They built the team around Manning without giving a single thought to what would happen if he were to get hurt. I’m not saying you should always expect your star to get hurt, but there should be some sort of backup plan. For example look at the Patriots from a few years back when Brady got hurt, Cassel went in and even though they did stumble a bit, they still won games. Obviously the Colts won’t be at the same level without Manning, but as it stands right now they are a complete write off without him. Inexcusable. Very true. The Colts have not set themselves up for success in a Manning-less world. They have never had that true backup to Peyton in a worst case scenario situation. They have been blessed with many healthy years with the star Quarterback, but now they deal with a situation where they are not familiar. The Patriots won 11 games without Tom Brady, because they had a decent back-up in Matt Cassel who was able to learn the system and hold down the fort. Who do the Colts have? They put Kerry Collins out on the field, Curtis Painter and Dan Orlovsky, all of whom are less then mediocre at the position. In a perfect world, the Colts continue to lose and select QB Andrew Luck in the draft. Luck is good enough to start for half the teams in the league, but at least if Manning comes back healthy, you have the successor right there on the sidelines learning from one of the greats for 3-4 years, in the mold of a Aaron Rodgers/Brett Favre situation. I suppose that’s a possibility, but I don’t see Luck going anywhere except Miami.